When we have our own blog or website, our biggest concern is traffic. This is because what really matters is that our content reaches a lot of people, following the links that we have in it and, last but not least, taking a decision around a “Call-to-action”. In order for this to happen we must have a lot of people interested in our content. If you are not yet entirely aware of these topics, don’t worry, we will explain them to you. Learn how to increase blog traffic. When we talk about traffic, we are talking about the amount of people that reach our site or blog, creating a certain amount of visits that read, share or like your content, which at the end of the day makes them come back to you any time they need info. Traffic for a site could be done in two different ways: The main one, more and more developed each time, is to generate organic traffic. This is all of that traffic that occurs in a natural way, when people get to your website searching for a product or necessity. The other way to get a big amount of visits is through Paid traffic. This purchase is well directed towards the people each blog needs, filtering the potential customers per their profile. As we will see later in this post, there are ways for organic traffic to grow without the need to buy traffic. Of course this will not happen overnight without effort, this is why there are techniques, tools and strategy to help you reach your target: SEO. How to increase organic traffic for a blog? 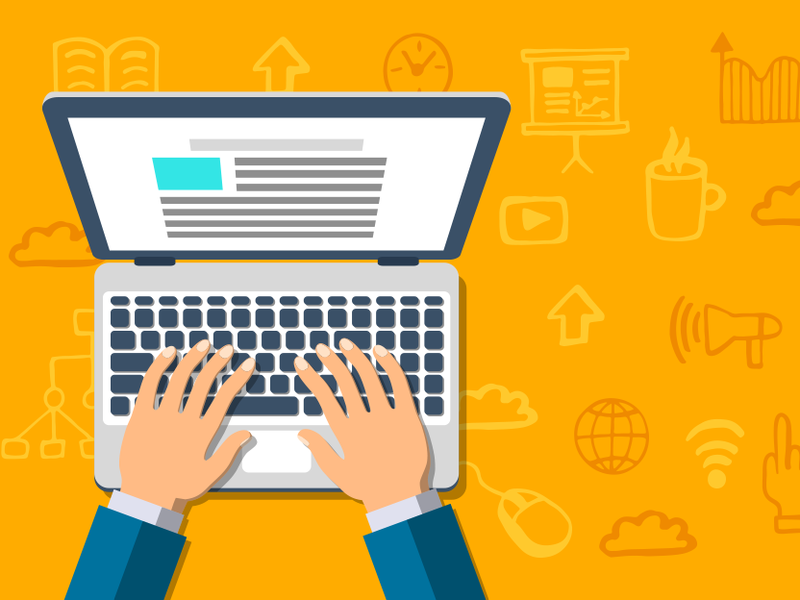 Besides creating posts, it is important that you start using some tactics in order for the blog to have an interesting traffic, which will guarantee somehow, to achieve quality leads. What are those tactics that you should consider to increase traffic towards your blog? It is important for you to have content available for people in different parts of the marketing funnel. It is based on this that you will have different tools to motivate your visitors. This being said, out of all the parts of the funnel, the top should be your main focus because it is the moment in which people have more doubts than info. This means you have a huge challenge, but also many opportunities to reach new customers. It is when the blog receives a good amount of visits, generating traffic, then it is time to spark interest in what you have to offer. This is why you should create content called to teach people. It is true that quantity not always means quality, but we can’t deny that the better the frequency of the posts, the more chances visitors will turn into customers. Frequency is important and you should maintain the same regularity on the posts. This is very useful because once readers get to know your blog; they remain used to certain days and schedules of new content. A given number of posts does not mean equal number of sales, but nobody doubts that more frequency in posts means more chances of selling your product. Have you heard about guest posts? These are the type of posts and articles on your blog that come from a certain recognized author. This generates prestige and branding due to the fact it is giving reliable info from a specialist in the matter. It is also good practice that you post content of your own in other websites within your type of industry. This way, you will earn an audience from the blog you posted your content. Another way to increase traffic towards your blog is to have other websites making links to your content. There is the chance of negotiating with important websites in your industry to have these links. This will promote sharing not only content but also visits, because when a person clicks on a link from one website to another, it will count as a visit for both. Nonetheless, you must be very careful with using this technique accordingly. It won’t have to be just any website you will be linking, it will have to be one that you trust, is safe and that you feel confident they will be sharing your content. It is a must that these links are shared on websites from the same industry. One more useful tip is to tag your content in such a way that they will be directed towards people that are more likely to share it. This is very good, but in order to get it is a must for you to consider the likelihood of people sharing your content when creating your strategy. Use your blog to centralize your posts, but also promote different articles and videos on social media because it will be through there that more people will reach your blog or main website, that might not come if it weren’t for social media. Well-known networking and good relationships are the best way to bring more traffic towards your blog. It is when getting involved in these communities that you will have direct contact with your readers, you will know which topics they ask more about and what are their needs. This way you will create content especially for them and will make the most of the mouth-to-mouth. Search for the adequate key words, use them considering the recommended density, optimize the articles as much as possible, install required plugins for it, verify descriptions and titles of the posts. All of the above will make your content SEO friendly and make traffic increase. Going into the more technical part of your website, we recommend you optimize your template, besides having everything up to date. You will have to verify which template you are using, how are your banners, quantity and length of your articles, images, etc. items that make the website load faster. Since this turns essential to bring readers to your website and also making them wanting to stay. It is essential that you have daily control over the exact amount of people that reach your blog, how long they remain on it and what content has the more clicks. Having control of that you could define the strategy and change whatever needs to. Many times, people wrongly think that the more images, size and colour, the more customers will be attracted to it and conversion rate. It is true that visual aids are appealing to people, but we must keep in mind that you need to find balance with your SEO, because that is what will determine your traffic. External links are very good, but internal links are the most important. Talk about other articles, quote info on previous posts, linking one content to another one, given they are related. As you can see, there are many tactics you should consider to increase traffic to your blog to the max. It is not enough with having a blog and posting every once in a while, you need a lot of planning, organization and implementation of SEO techniques to attract quality traffic. Now you have an idea of ​​how to increase blog traffic? Are you not an affiliate yet? Don’t hold any longer, REGISTER NOW!